The Katsube Shrine Fire Festival is held annually on the second Sat. of January. They light 12 giant straw torches with young men dancing around. 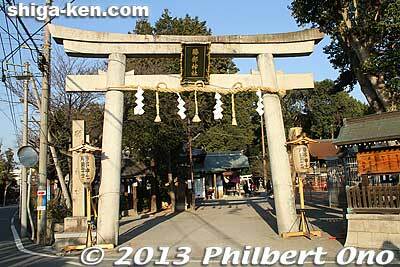 The shrine is near JR Moriyama Station (JR Tokaido/Biwako Line).